"Fort Allen Park, with flag pole." 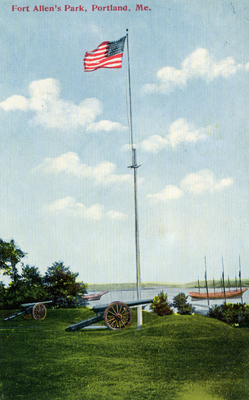 Vertical view of "Fort Allen's Park," Portland, Me., with flag pole at center, and Casco Bay in background. Cannons in foreground. "Fort Allen Park, with flag pole." (2017). Portland Postcards. 37.